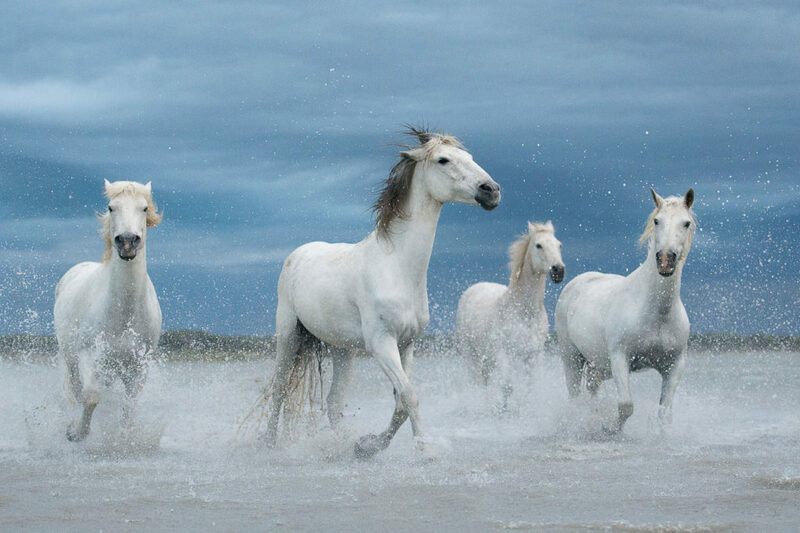 A group of wild horses of Camargue running across the marsh against a stormy sky. This horse breed is raised by local “gardians” in semi-liberty and it was inspiring to watch them running along the seashore. I finished shooting that bunch of horses just few seconds before the dramatic sky turned into a storm with lightnings and thunders.